On the link you provided an expert suspects that there are problems with Java. I checked my system: Java 8 is installed. Is it Ok for FireBird database handling ? Thanks. Have you in the menu Extras>Options>LibreOffice>Advanced, there in "Optional features", the "Experimental features" turned on? Which OS and LO-Version do you use? No, for the moment this option is OFF. I'll try putting it to "ON". My OS: Windows 10 PRO. Concerning LO, I don't know how to check it. 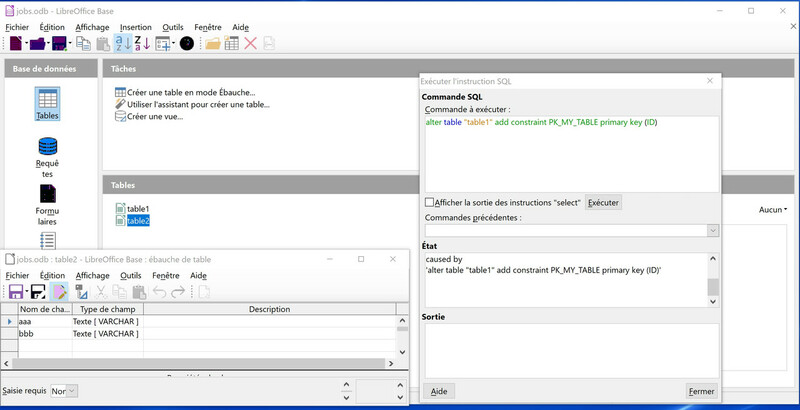 Check the LO version in the Help>About LibreOffice menu. Maybe one of the bug reports will help you. Firebird embedded is still undergoing modifications to have it working fully in an easy manner. Until then some of the functions need to be worked around but with these alternatives, Firebird does work very well. Once completed, save the Base file (with Firebird embedded changes are not committed until the Base file is saved), then close all LO files & re-open the Base file. You should now find the table has the selected field set as primary key. There are also other methods. One is to delete the old field & enter a new one & set as primary key. 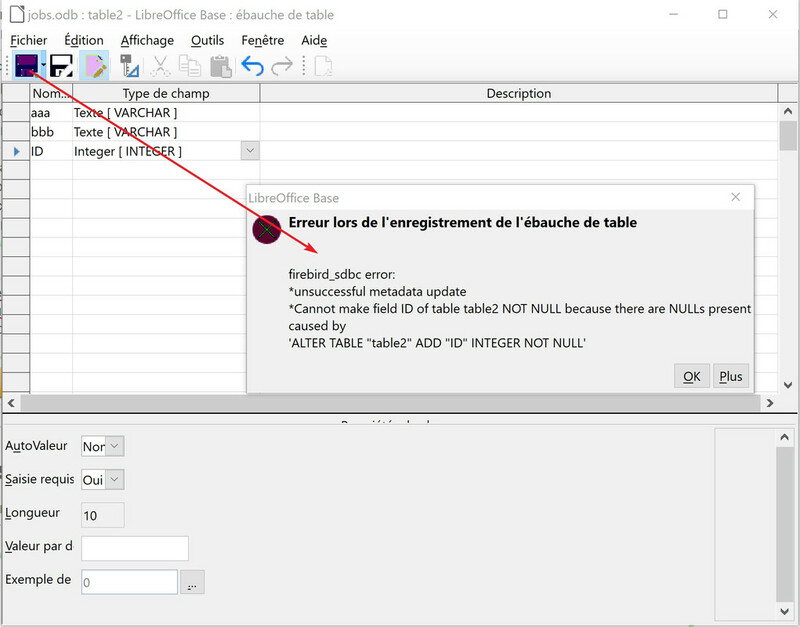 Another is to copy/paste the table and when pasting set the appropriate field as a primary key. Are you certain you have the correct Table and field name? It seems that it finally worked: first I added the new column and then applied the constraint. 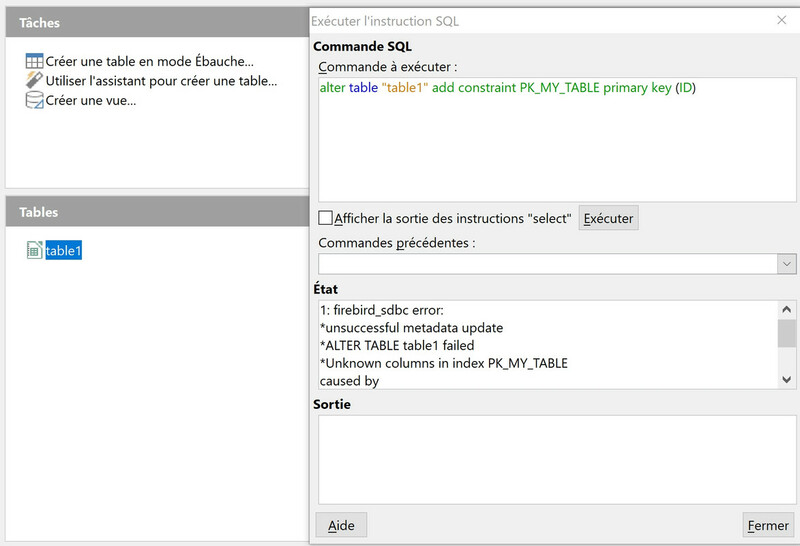 But when I open the table in "Edit" mode I don't see any sign that confirm that ID column is actually primary key. @Pavel_47 Not certain as to what you are now doing. 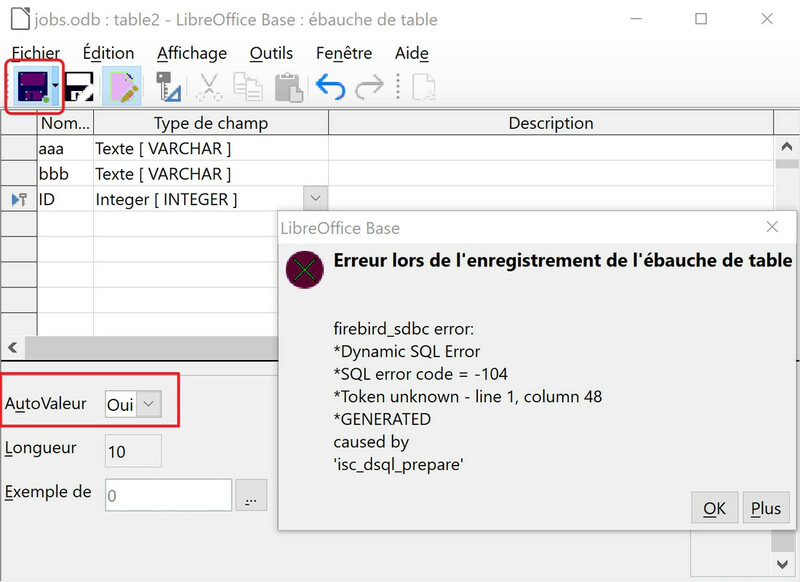 In your comment you are trying to modify "Table2" but the SQL shows "Table1". If you get a successful execution, you need to save, close all open LO & the re-open Base file. It seems I understood the cause of error: if a table isn't empty, any modification of the primary key properties is impossible.